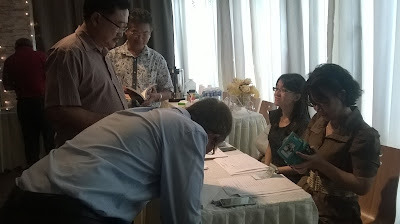 The most special moment for me with regard to my novel, THE EURASIANS was launching it at The Sabah Society in Jesselton (Kota Kinabalu) on October 5, 2016. 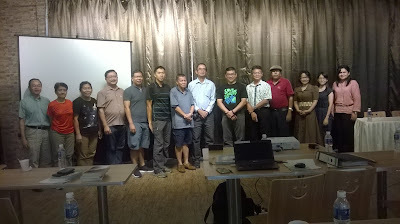 But here was another special moment which I consider it another maiden launch; giving talks about my book at Sandakan. The Sabah Society Sandakan Branch (TSS Sandakan) was so kind to invite me to give talk about my book; that was why I traveled all the way there. As a token of appreciation, I gave three books to TSS Sandakan. 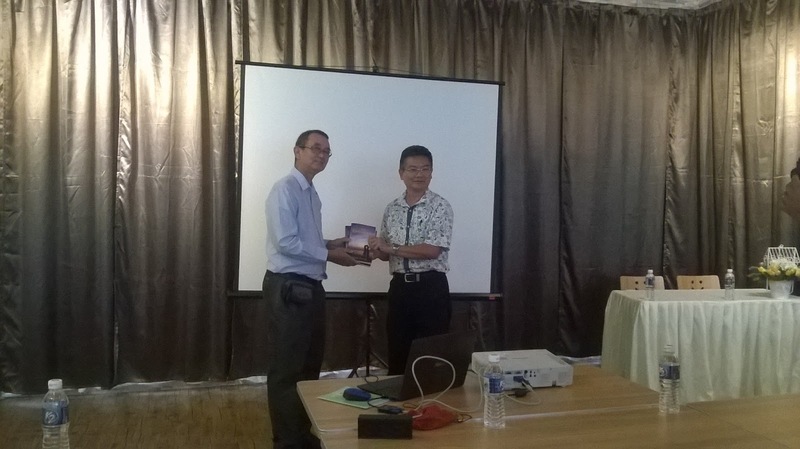 Receiving the books on behalf of TSS Sandakan was Dr Robert Ong, their Vice Chairman. My dad and Robert's dad used to serve with the police throughout the 1960's. 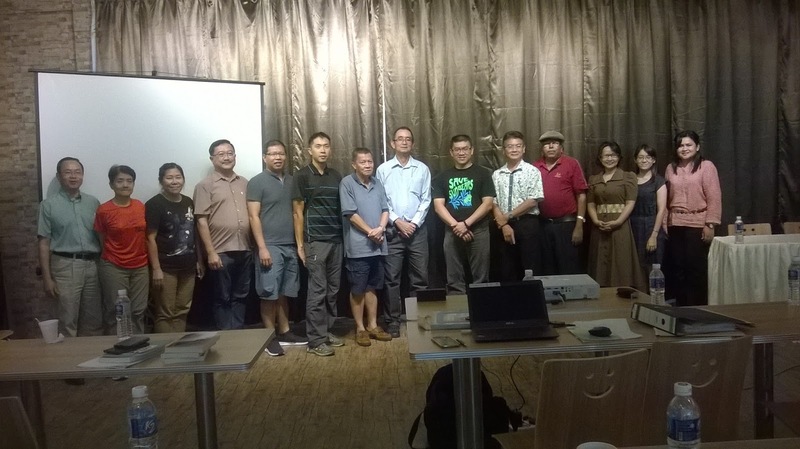 But it was Eyen Khoo (3rd picture on my right) who took the trouble inviting me to TSS Annual General Meeting on February 25, 2017. The Sabah Society Sandakan, just like TSS Jesselton gave me a wonderful reception that I will cherished this moment for the rest of my life. Promoting my book here is so significant that I considered this also as a maiden launching. Introducing my book here is so meaningful because one third of the story in my novel revolved around Sandakan, and all the early chapters of The Eurasians were devoted to this historical town.